When it comes to developing an Android app that deals with sensitive information, you must take extra precautions to make sure that the information doesn’t fall into the wrong hands. Although Android devices come with state-of-the-art security features, app developers often don’t leverage them. Even if they do, they may not necessarily be using them properly. 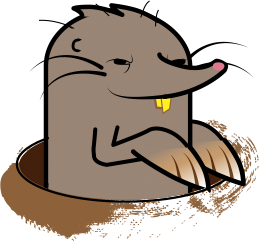 One simple security hole is all it takes to compromise your app’s security as well as the security of the servers/systems it’s connecting to. If you’re an iPhone user, you must be glad that there are apps for just about anything. 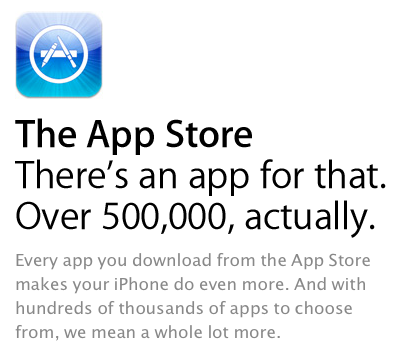 In fact, as of this writing, Apple’s App Store website boasts that it now has more than 500,000 apps. Impressive. Apple provides a convinient class, UIImagePickerController, that easily allows your app to display a user interface to pick an image from the photo library. There are countless apps out there that utilize this class. Since this class manages all the user interactions, end-users of the apps that use it will find consistency when picking an image from photo library. Facebook iOS app, WhatsApp text messenger, Messages and Tweetbot are just a few popular apps that leverage this class. 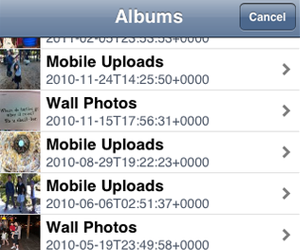 It’d be great had Apple provided a similar class for picking a photo from a Facebook account. 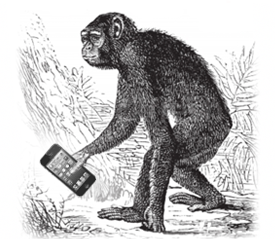 Three20 is an open-source library for iOS applications. 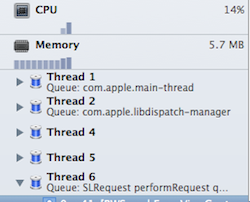 It provides many handy features that make your iOS development life much easier. It’s used in many popular iOS apps, including Facebook. 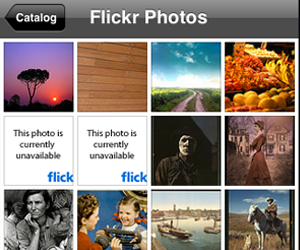 One of the features that I’d like to discuss is the photo thumbnail view. Here’s a screenshot of TTCatalog app, a sample app that comes with Three20 project. 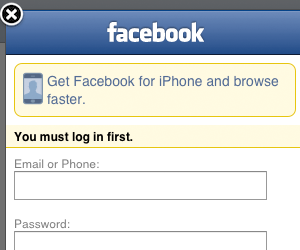 The official Facebook iOS SDK provides an easy way for any iOS applications to authenticate against a Facebook account. If you follow this tutorial, you’ll be able to add facebook authentication in your app in less than 15 minutes. It’s that simple. Once your app has been authenticated, it will possess both access token and expiration date. These two pieces of data will be used in subsequent communication with Facebook. I’m a loyal user of iPhone. I’ve been using it since its first version and now I’m on 4S. Though I’m staying in iOS camp and don’t have any intention of moving, I occasionally get the urge to test out and see what’s out there. That’s the reason why I convinced myself to own and play with Dell Streak 5″ phone and Google Nexus S. They are both smart smart-phones. But it’s hard to pick their pros and cons by simply “playing” with it. You’ve got to use it. Daily. For everything including surfing, speed dialing, social-networking and games. Everything. And that’s something that I didn’t get a chance to do until last summer when I was traveling and in need of an unlocked phone. I could make my iPhone work (don’t ask me how) but thought I’d give an Android phone a real kick. Posit Science as agreed to work with Grio in building an Adobe Flash-based application that will be used by scientists as a tool to study human brain. This application provides games and excercises designed to stimulate brain activities. Posit Science helps people be at their best throughout their lives by providing brain training software clinically proven to improve cognitive performance. Playnomics has agreed to leverage Grio's talents to provide software development assistance and recommendations for architecture improvements and optimization. Playnomics provides a platform that publishers of online games can use to understand who their most valuable players are and how to acquire players who will be the most dominant to their game. The platform collects in-game event data and uses proprietary algorithms in combination with an advanced recommendation engine to quantify player value. In this collaboration, Grio will help build applications that interact with and enhance the Playnomics platform.